Freelance attorneys modernizing legal practice. We are all busy, and are trying to fit career into life and family. That’s what Montage Legal Group is all about. But we still think it’s important to stop and recognize those who have helped us along the way. My business partner, Erin Giglia, and I are both thankful to the University of San Diego Law for our excellent legal educations and active alumni network. We feel it is important to spend our time being active in our community, including our USD Law OC alumni community. Orange County has more than 1250 USD Law alumni, the 3rd largest region of USD Law grads after San Diego and Los Angeles. 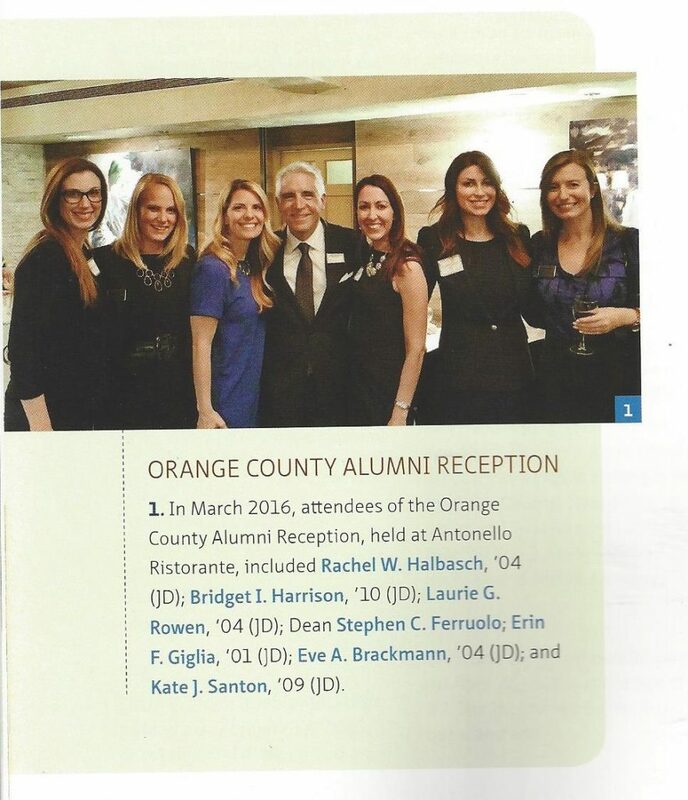 USD Law’s Orange County Regional Chapter launched in September 2015, and is the first regional chapter for the law school. 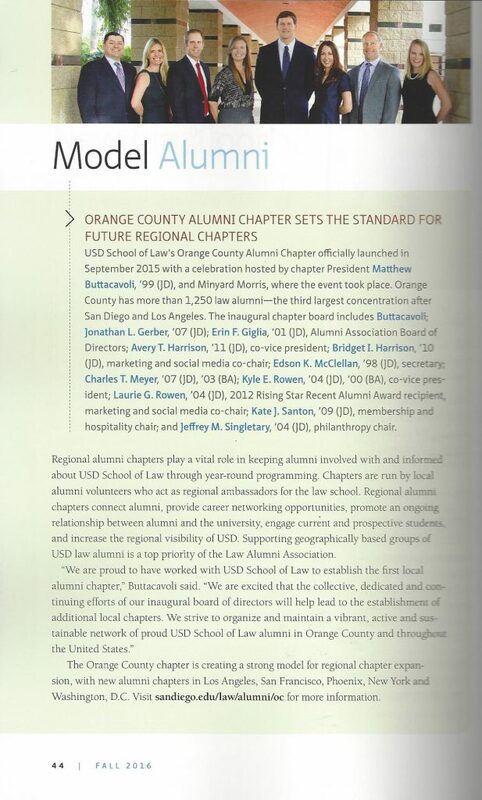 The OC Chapter, through its Board, will serve as a model for other regional chapters, with a goal of connecting and promoting relationships between alumni, providing client referrals and networking opportunities, and promoting a relationship with the law school. For more information, please email us at info@montagelegal.com or call 949-400-0798 for immediate assistance. Legal Disclaimer: Montage Legal Group is not a law firm and does not provide legal representation to clients. Montage provides support solely to attorneys, not end clients. The attorneys affiliated with Montage Legal Group are independent sole practitioners and do not constitute a law firm among themselves. The information provided in this website should not be construed as legal advice. Transmission of information from this website is not intended to create, and its receipt does not constitute, an attorney-client relationship with Montage or any of its individual attorneys or personnel. Use of Montage's services does not establish an attorney-client relationship. Montage will protect the confidentiality of information, but information you provide to Montage may not be afforded legal protection as attorney-client communications. Montage expressly disclaims all liability in respect to actions taken or not taken based on any or all of the contents of this website.